It may be hard to believe that there are any households out there nowadays without internet connectivity, but there are, and if you're single and living in one of them, you're less likely to be in a relationship. After all the feedback we hear on how the internet can hurt our relationships, it may seem counterintuitive but the data is there, at least for now. 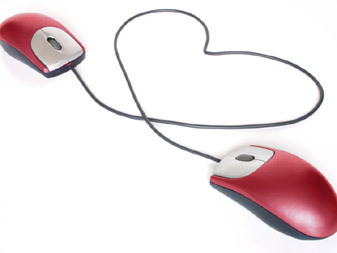 A new study shows that adults who have Internet access at home are much more likely to be in romantic relationships than adults without Internet access. And it's not just because people spending lots of time on the internet are meeting their significant others there, although that factors in. In addition to finding that people are more likely to be in romantic relationships if they have Internet access in their homes the study revealed that the Internet is the one place that gaining importance as a place where couples meet. This study, called "Meeting Online: The Rise of the Internet as a Social Intermediary” proves that Internet access has an important role to play in helping Americans find mates. "With the meteoric rise of the Internet as a way couples have met in the past few years, and the concomitant recent decline in the central role of friends, it is possible that in the next several years the Internet could eclipse friends as the most influential way Americans meet their romantic partners, displacing friends out of the top position for the first time since the early 1940s," said Michael J. Rosenfeld, an associate professor of sociology at Stanford University and the lead author of the study. This should come as no surprise, as most of us have a desire for connection with someone else – as well as a readily-available internet connection! But this pursuit for dates or mates online can be played out in a negative way if we're not careful, through what I call the bio-chemical craving for connection. I discuss this more in my book, Make up Don't Breakup – which encourages a healthy view interaction within our selves and with our partners. It can become a particular factor in people who are used to constant stimulation and change – much like what we see on the internet! This craving starts when stress causes thrill-seeking behavior. This behavior can be in the form of financial or sexual conquests and infidelities. You're looking for ways to self-medicate and to help calm stress levels down. So no matter where you meet your significant other – online, in person, through friends, wherever – keep in mind that all the search for constant stimulation is great in our culture and can cause stress and thrill-seeking behavior. Of course, this craving can be harnessed for good as well as evil! Instead of allowing the desire for companionship and intimacy take you to thrill-seeking behavior that results in a “high” and then a crash, turn the desire into a search for healthy relationships.